How’s this for a smart idea? 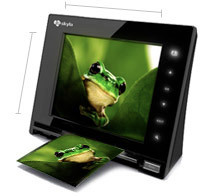 A digital photo frame that also includes a built-in high-resolution photo scanner. Traditional photos can be scanned into the device and then instantly displayed on the screen. It’s a perfect, neat, solution for the technophobes in your family. If your grandma can’t cope with digitising all her old pics, then just give her this and show her how it works, and she’ll be sorted. There’s 1GB of internal storage, which will hold 2-400 scans. It’s also got a light sensor, so it can adjust brightness based on its environment and an 8″, 800 x 600 display. They’ve also chucked in a card reader, for grandparents who’ve progressed to digital cameras, and two USB ports so you can get the data back onto a PC if you need to. I’m a big fan of simple concepts that make sense, and this is exactly that. So long as the interface is good, this seems like a great product. Perhaps a little overpriced at £178, but all digital photo frames are overpriced – let’s hope that competition drives down those costs a bit over the next year or so. You know those photo-stitching options you get on digital cameras and phones? You know how they’re rubbish and they never work? So you never use them? Because they’re rubbish? And they never work? Well this one does. 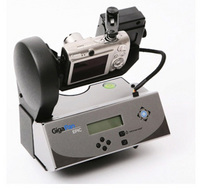 The GigaPan EPIC works because it removes the human being and it’s wobbly handy and blurry vision from the equation, automatically taking then building panoramic photos with megapixel counts that can hit the thousands. For the love of GOD, won’t someone stop them? Google’s roaming fleet of privacy-invading world-mapping cars caused a bit of a stir yesterday, when one of the people who spends their every waking hour combing Street View for photos of hookers, drugs deals going down, shootings and sunbathing ladies found this – the moment the Street View car flattened a deer. Score another one for citizen journalism. 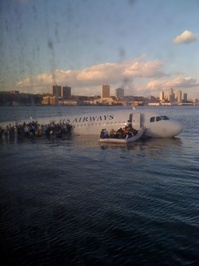 The very first photo of the plane crash in the Hudson was taken on a mobile phone, and uploaded to Twitter. The photographer was one Janis Krums, and he was on one of the ferries used to rescue the passengers from the stricken plane. Okay, let’s be honest here. 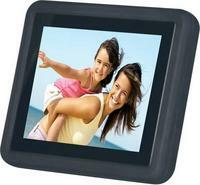 Digital photo frames are a load of rubbish. They sit there consuming piles of energy, 24/7, and don’t actually look that brilliant. However, the great British public seems dead-set on buying them by the bucketload, and Jessops are capitalising on this by offering two of them for the budget price of just fifty sheets – that’s presents for two aunts knocked out in one fell swoop! The frames in question cost £30 normally, measure 3.5″ corner-to-corner, and come with a slideshow facility, memory card slot, and functions to control colour, brightness and zoom. They also connect up to your PC so you can change the pictures on it with the greatest of ease. Sounds awful to you – but sounds brilliant to your mum.